Mix the tradition of Pearl jewelry with a little bit of glitter. 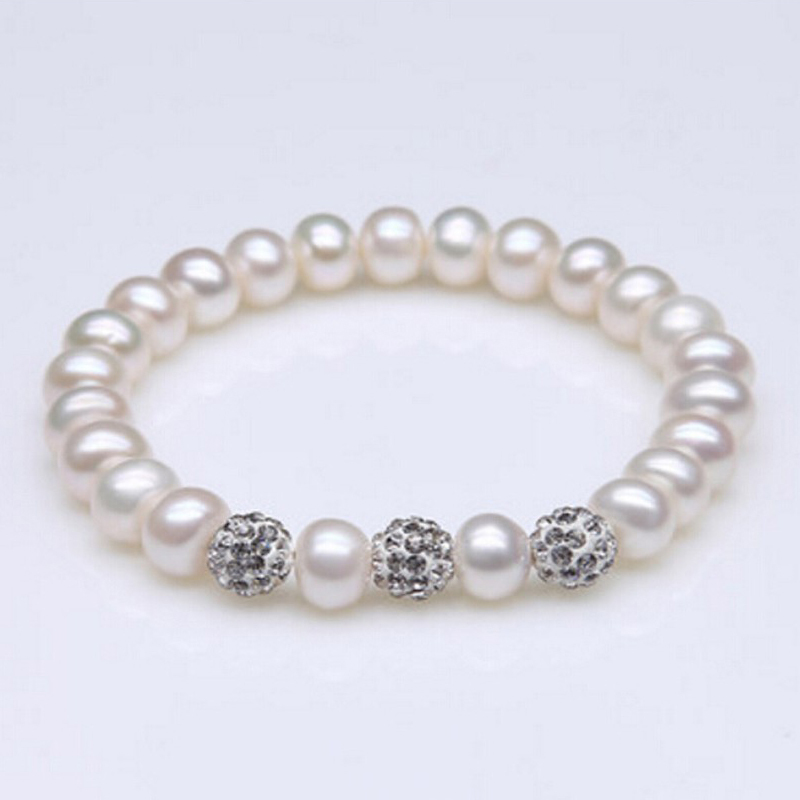 Our Simulated Pearl Bracelet features shining, 10mm white glass Pearls for a timeless, elegant look. But this piece is also looking to make a statement with a ball screw style Crystal Jewelry that is encrusted with glittering, round cut crystal stones for an ultra gram look. Looking for ideal Fake Pearl Bracelets Manufacturer & supplier ? We have a wide selection at great prices to help you get creative. All the Pearl Bracelet with Crystal Ball are quality guaranteed. We are China Origin Factory of Faux Pearl Stretch Bracelet. If you have any question, please feel free to contact us.